Xiaomi Mi Max 2 has been launched in India at an event in New Delhi, with only one configuration and colour option. The new Xiaomi model's highlights are the 6.44-inch full-HD display, 5300mAh battery, 4GB RAM, and 12-megapixel rear camera with Sony IMX386 sensor. For those looking forward to buying the smartphone, the first Mi Max 2 sale will be held on July 20 on Mi.com website and Mi Home offline store. The company announced the all Mi Max 2 units sold in India will be manufactured locally as part of the Make in India initiative; this is the first Mi series phone launched in the country this year. Xiaomi Mi Max 2 price in India is Rs. 16,999, and at that price it takes on several smartphones in the India market, including the Samsung Galaxy On Max, Samsung Galaxy J7 Max, Lenovo Phab 2 Plus, Oppo F3, Oppo F1s, Honor 8, and Honor 8 Lite. Mi Max 2 launch offers include a Reliance Jio data bundle of up to an additional 100GB 4G data. Users will get up to 10GB additional data on every recharge of Rs. 309 or above, limited to 10 recharges up to May 31, 2018. As we mentioned, the first Xiaomi Mi Max 2 sale is on Thursday, July 20 at 10am IST, and the smartphone will become available for purchase again on Friday, July 21. The two days constitute the company's 3rd Mi Anniversary Sale, on Mi.com and Mi Home. It will then be made available next week - July 27 - via both online and offline stores. As for onilne stores, it will go on sale via Amazon, Flipkart, Paytm Mall, and Tata Cliq. Offline stores include Poorvika, Big C, Sangeetha, Croma, Lot, Vijay Sales, Ezone, and Reliance Digital. 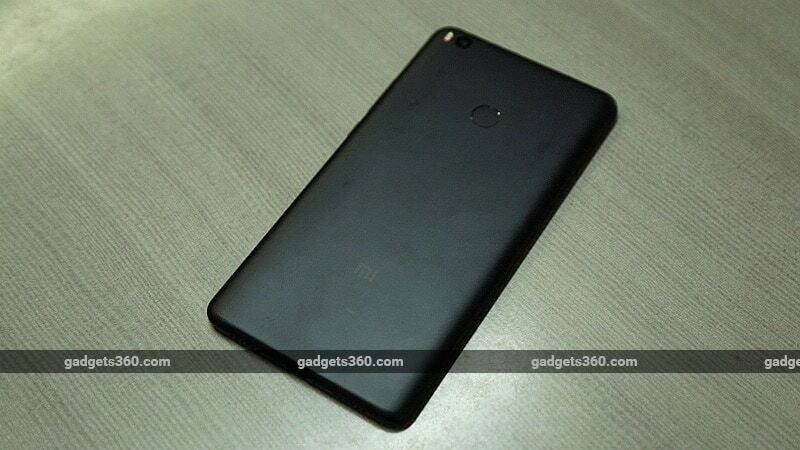 It will be made available in a Matte Black colour variant - this variant is exclusive to India, with Xiaomi saying it was motivated by the fact the Matte Black variants of the Xiaomi Redmi 4 and Redmi Note 4 were the most popular in the country. The company adds that the smartphone will be Made in India. Xiaomi also announced it will be opening new Mi Home outlets in Bengaluru, with the Lido Mall outlet opening on Saturday, July 22, and the Orion Mall outlet opening on July 29. 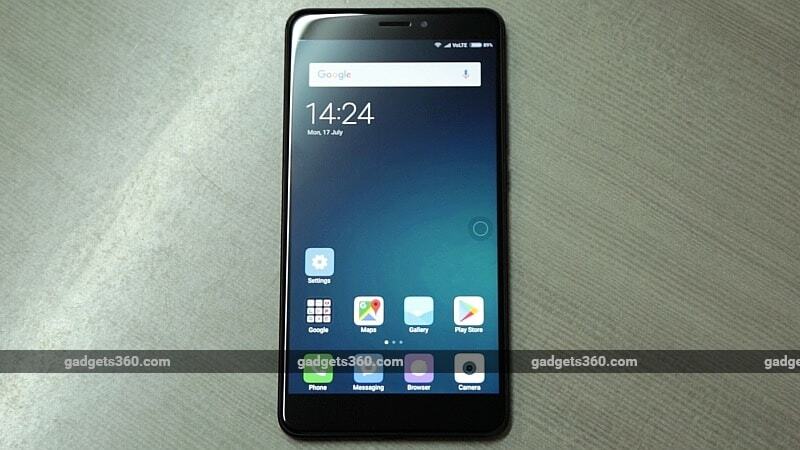 The dual-SIM (Micro+Nano) Xiaomi Mi Max 2 runs MIUI 8 based on Android 7.1.1 Nougat (with features like Split Screen added), and it sports a 6.44-inch full-HD (1080x1920 pixels) display with a pixel density of 342ppi, a brightness rated at 450 nits, a 72 percent NTSC colour gamut, 2.5G curved glass, and Gorilla Glass 3 protection. The company also touts its sunlight legibility. The smartphone is powered by a 2GHz octa-core Snapdragon 625 SoC, coupled with 4GB of RAM and an Adreno 506 GPU. Xiaomi Mi Max 2 camera configuration comprises a 12-megapixel rear.camera with a Sony IMX386 sensor (with 1.25-micron pixels), PDAF, f/2.2 aperture, and dual-LED flash. On the front, the Mi Max 2 bears a 5-megapixel camera with an f/2.0 aperture and real-time beautification options. In terms of storage, Xiaomi has launched the 64GB inbuilt storage variant in India, and the storage is expandable via microSD card (up to 128GB). As for connectivity, the Xiaomi Mi Max 2 supports 4G VoLTE, as well as dual-band Wi-Fi 802.11ac, USB Type-C, Bluetooth v4.2, and GPS/ A-GPS. The smartphone features an accelerometer, ambient light sensor, gyroscope, infrared sensor, fingerprint sensor, and proximity sensor. The Xiaomi Mi Max 2 weighs 211 grams, and measures 174.1x88.7x7.6mm. It runs on a 5300mAh battery that supports Qualcomm Quick Charge 3.0 (0 to 68 percent charge in 1 hour), and is rated to deliver up to 57 hours of talk time, 18 hours of video playback time, and 31 days of standby time.